Trust is one of the most fundamental currencies when it comes to — well, everything. The absence of trust slows processes and promotes suspicion, often leading to failure — a nightmare for any business or relationship. The growing buzz surrounding blockchain has ultimately turned into a conversation about the opportunities this technology presents for the future, and how it stands to drastically improve so many of the legacy systems originally built and assumed to be trustworthy. 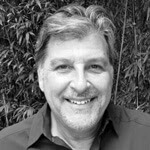 Sparkpr, interested and involved in these conversations for some time, recently hosted a thought-provoking discussion with author Michael J. Casey and some of the most respected industry experts and journalists. 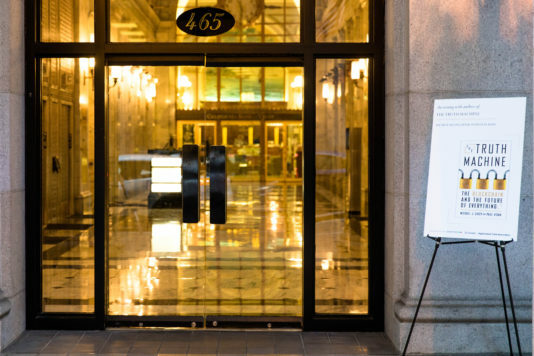 “Trust is extremely expensive,” declared Michael J. Casey, senior advisor at MIT Media Lab’s Digital Currency Initiative and chairman of CoinDesk’s advisory board, who recently co-authored ‘The Truth Machine: The Blockchain and the Future of Everything’ with The Wall Street Journal reporter Paul Vigna. The new book, published on February 27, instantly received multiple accolades. 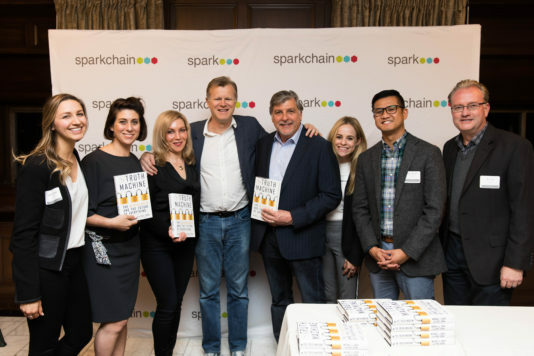 The intimate gathering, hosted by Spark and sponsored by Sparkchain, Current, and the Digital Asset Trade Association last week, provided the perfect venue for a discussion on the history of blockchain, the opportunities it presents and a forward-thinking, spirited conversation about what’s next. 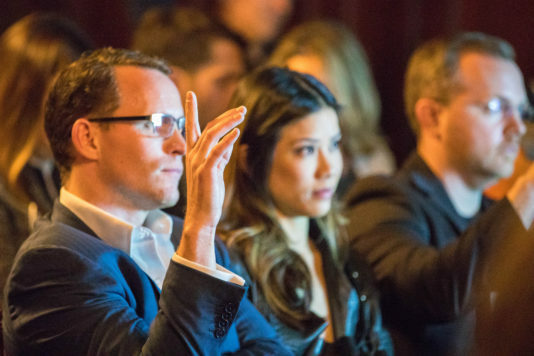 The event kicked off with networking which led to Michael Casey presenting how he and Vigna first co-authored “The Age of Cryptocurrency: How Bitcoin and The Blockchain Are Changing The Global Economic Order,” published in 2015, which led them to further examine blockchain. 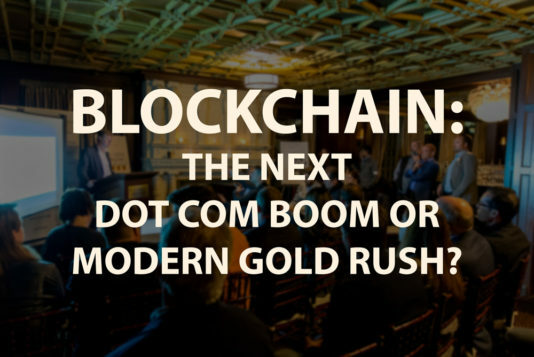 He discussed how blockchain has been considered to be the modern “tech bubble” or “the next gold rush” and shared ideas to help demystify and frame the conversation around this disruptive technology. Casey explained that our ability to successfully build civilizations is rooted in storytelling. The way we tell stories allows us to reach agreements and find a common language that establishes a foundation for trade which, ultimately, builds society. “There are two core elements to why we’re able to do this,” said Casey. He continued by suggesting that first, in order to reach an agreement, people need an accurate and efficient way to share information. The delivery of the message has evolved, from one-on-one interaction to riding a horse and using a car or plane to deliver a message, and today the internet has made this process as simple as pushing a button. As a result, the pace with which we share and exchange information has dramatically accelerated. “The capacity to share information is reaching this profoundly rapid and effective, efficient state where you can broadcast to the world virtually for free and virtually instantaneously. The other component of this is trust, trust is critical,” said Casey. Unfortunately, humans do not inherently trust each other and as result, have institutionalized a solution to this problem. The rise of fiat currencies, as an example, with banks and record-keepers as trusted third-parties that have been given the authority and responsibility to securely maintain our most valuable and sensitive information. These trusted information custodians create centralized honeypots of personal data that become irresistible targets for hackers and thieves. Systems around the world built on this architecture are being breached daily, and as a result, these institutions are losing our trust. In this context, it is easy to see the appeal of an alternative approach where our personal information is secured within a decentralized architecture without the need for third-party middlemen managing our most sensitive and valuable personal information. Blockchain applications built on cryptographically secure decentralized architectures have the potential to not only usher in a new wave of technologies, but a new age of trust. The impactful idea behind creating a decentralized blockchain marketplace is that it presents the possibility to change the very nature of societal organization. The promise of blockchain technology is that it allows individuals to create their own networks, business arrangements, and trusted relationships. Blockchains point everyone toward what’s being referred to as, “The Internet of Value;” as the objective is no longer about directly sending information, but about exchanging anything of value (ie currency, digital assets, data, etc) with complete trust. “The principle of decentralized record-keeping is real and it’s so profound. This is a shift in technology, a shift in record-keeping that’s 500 years in the making,” stressed Michael Casey. 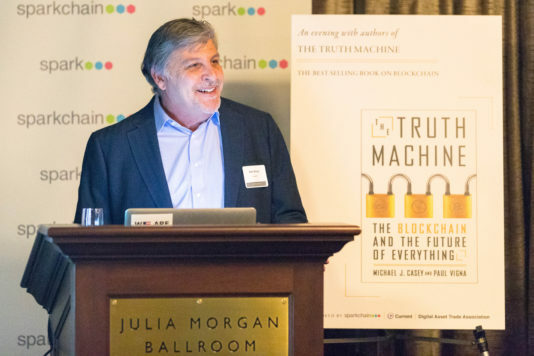 Michael took the history of blockchain through the virtual time machine, detailing how blockchain was built and how certain beliefs and truths have come into being understood, highlighting how the principles of blockchain could have profound implications on the future. As professional communicators, we spend much of our time focused on the details of building great businesses, developing the right message and finding the right audience for our meaningful stories. 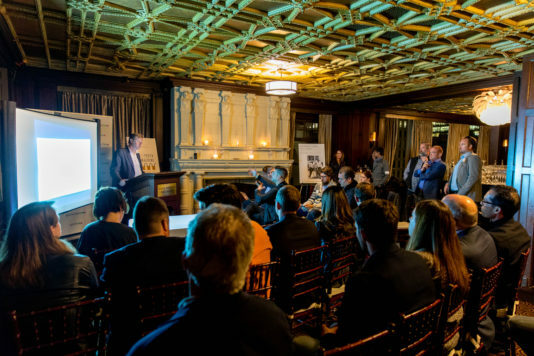 This gathering was an opportunity to bring attention to this topic, engage industry thought leaders, and collectively imagine where this technology can lead. 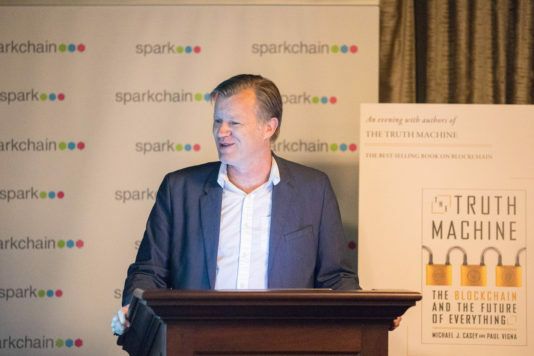 We at Spark highly recommend everyone pick up a copy of ‘The Truth Machine: The Blockchain and the Future of Everything.” We send our heartfelt thank you to Michael for his great contribution and significant role in continuing to lead and shape the conversation around blockchain and how it will impact the future of everything. Tagged blockchain, blockchain technology, cyptocurrency.